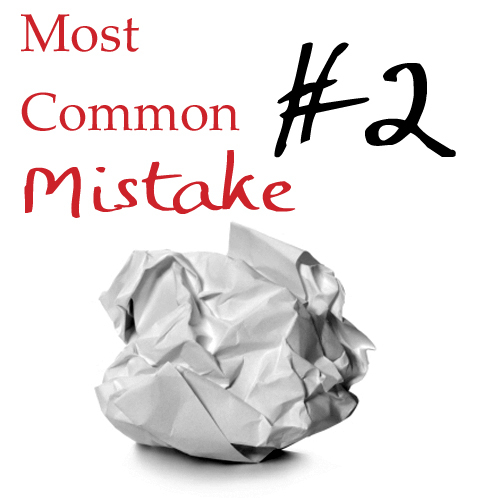 Most Common Writing Mistakes: Are You Using “There” as a Crutch? There was a large wart on the scary old lady’s chin. When Jackson looked across the room, he was shocked to see there were several policeman talking with his boss. When in doubt, remember there is always more than one way to write a sentence. Every single of one of these sentences is sagging with passive verbs and flabby imagery. How much better would they sound if we sent “there” packing and reworked them into more active constructions? A large wart sprouted hair on the scary old lady’s chin. When Jackson looked across the room, he froze. Several policeman stood talking with his boss. When in doubt, remember you can always find more than one way to write a sentence. When we get rid of the “there” constructions, we’re able to use snappier verbs, which in turn create more easily visualized images and a stronger voice. Granted, “there” is often a much easier—and even more natural—way to write. But if we stop and spend a little bit more time considering our word choices, we can often create much stronger sentences.“There” needn’t be expunged every time it crops up in your writing. Sometimes the word flow or the voice of your narrating character may work better with a few “theres” scattered in your prose. But be aware of the downfalls. Every time you find yourself typing “there” as a pronoun, reconsider your sentence. Would your scene offer more vibrancy, if you reworked the sentence with more active verbs? The Holy Spirit — The Great Revealer!